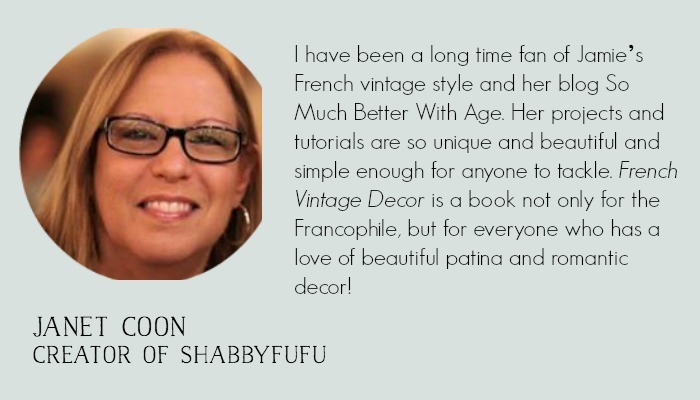 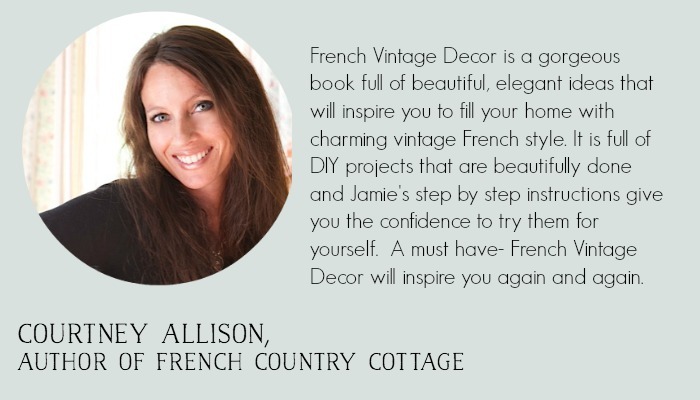 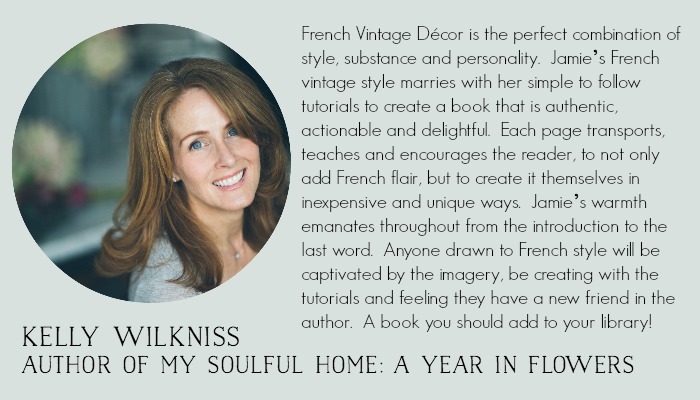 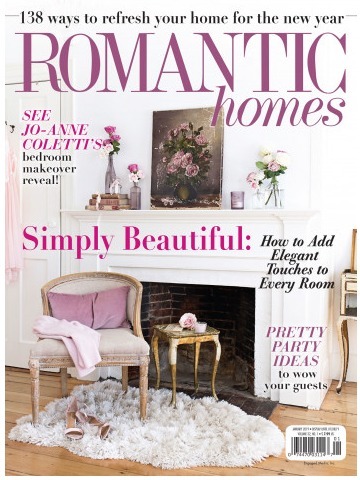 French Vintage Decor has 70 DIY projects with a French flair but can fit any home style. 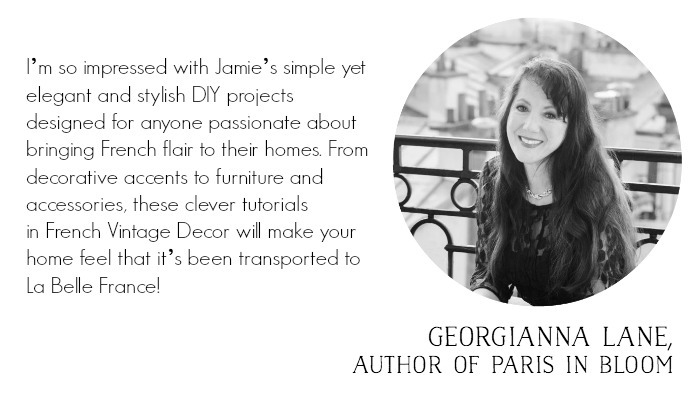 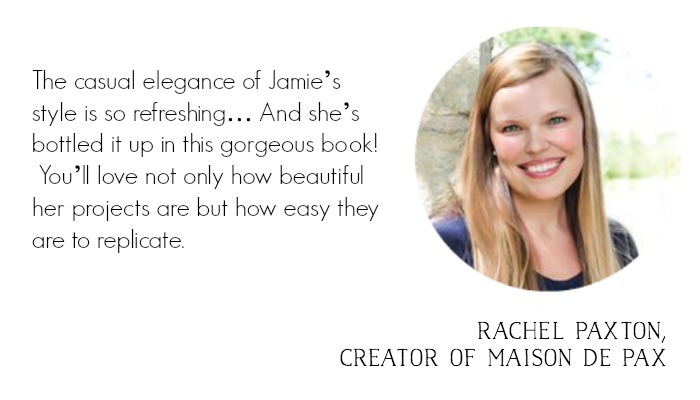 Click here if you’ve already ordered the book and want the free downloads! 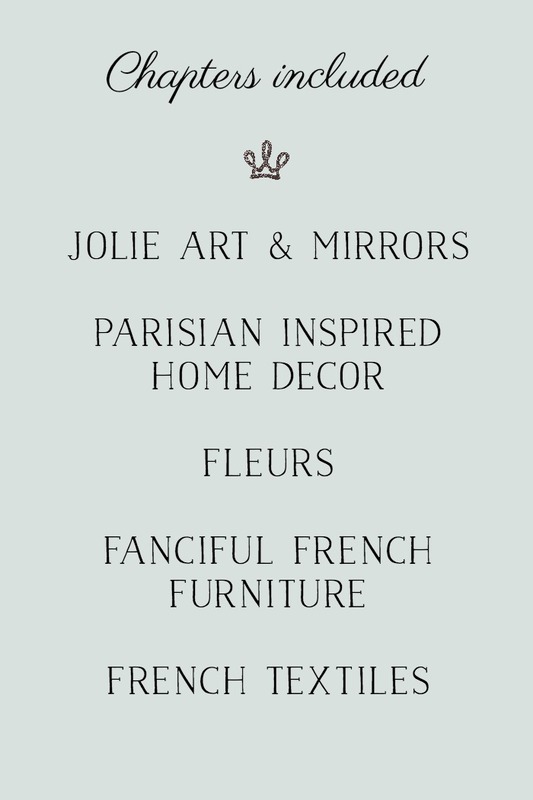 Rustic and elegant French décor never goes out of style―and with easy yet sophisticated accessories for your home, these 70 DIY projects will transform your space and add that special touch to any room. 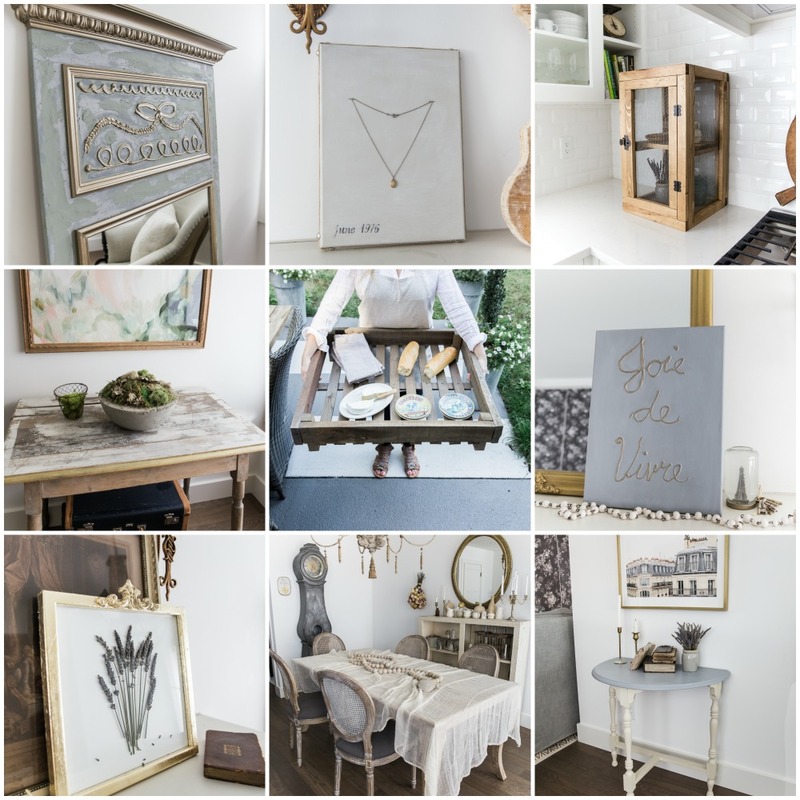 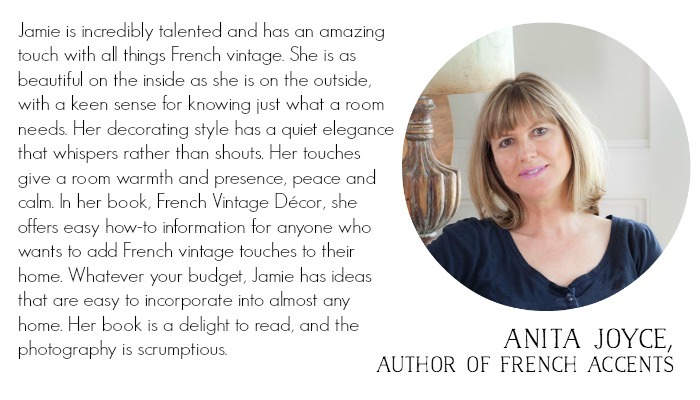 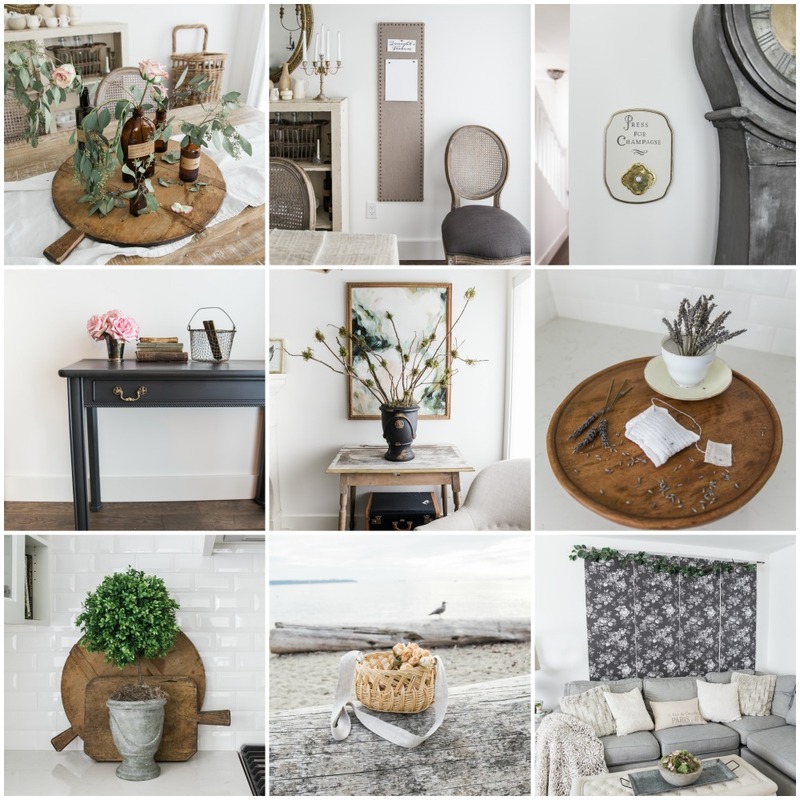 Jamie Lundstrom’s projects use easy-to-find and recycled objects, as well as new materials, to bring her French vintage style into your life. 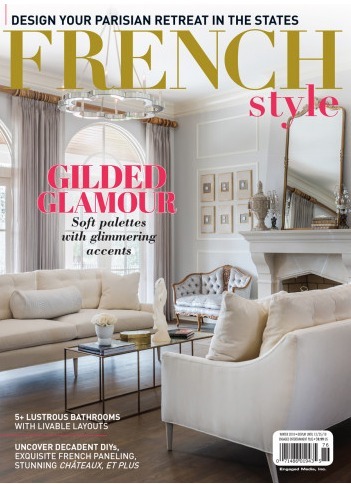 Projects span every season and category, from sewing to painting and upholstery, including provincial antique baskets, a fantastique Trumeau mirror, a jolie gold leaf frame, boutique plaster of Paris–dipped flowers and a chic antique chair. 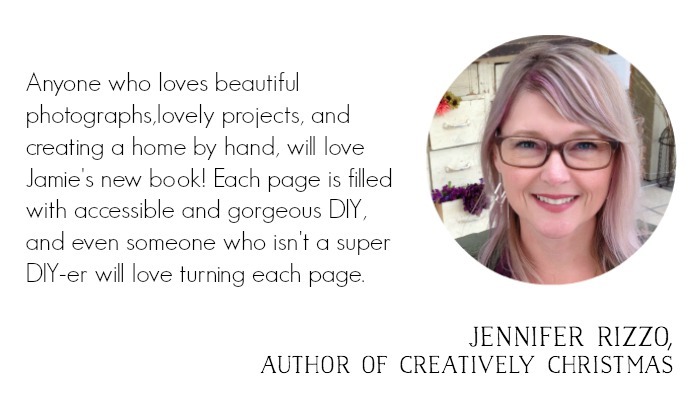 Featuring simple step-by-step instructions with beautiful photos to help guide you, these projects can be created in just a few hours or less. 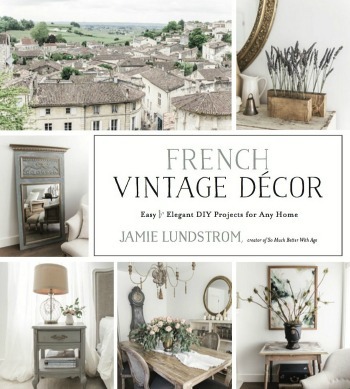 Have fun building these projects you can be proud of, and create the French Vintage home of your dreams. 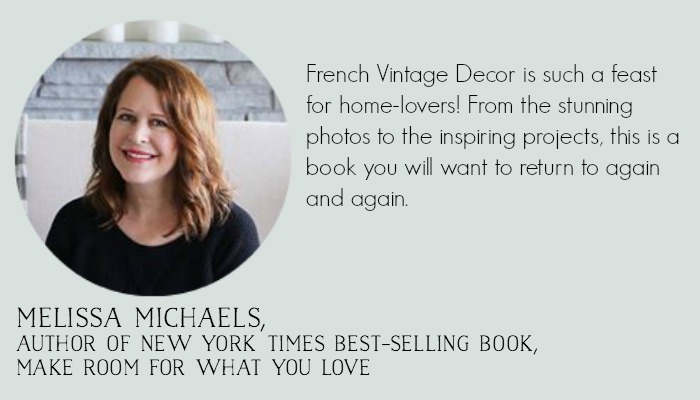 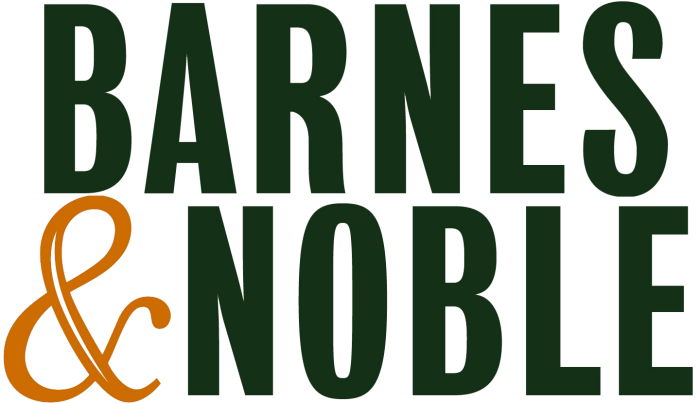 Click a Store Image Below to Order Your Copy! 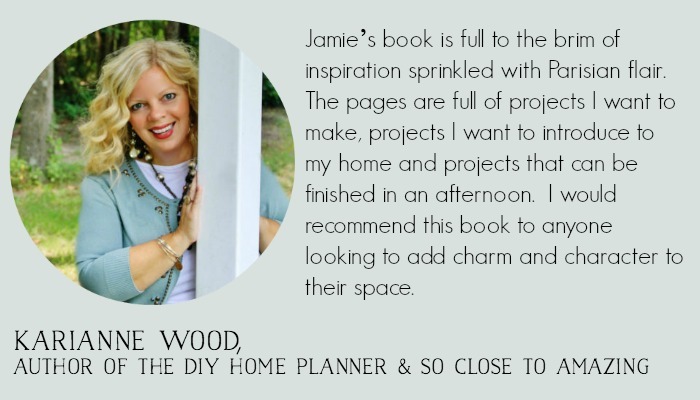 for a total of 70 projects!